5 iHeartMedia Baton Rouge radio stations united at Our Lady of the Lake Children’s Hospital November 17-18 and raised over $183,000. For two days, the on-air radio personalities led by Murphy, Sam, and Jodi on 96.1 The River FM shared amazing miracle stories and encouraged their audience to donate. 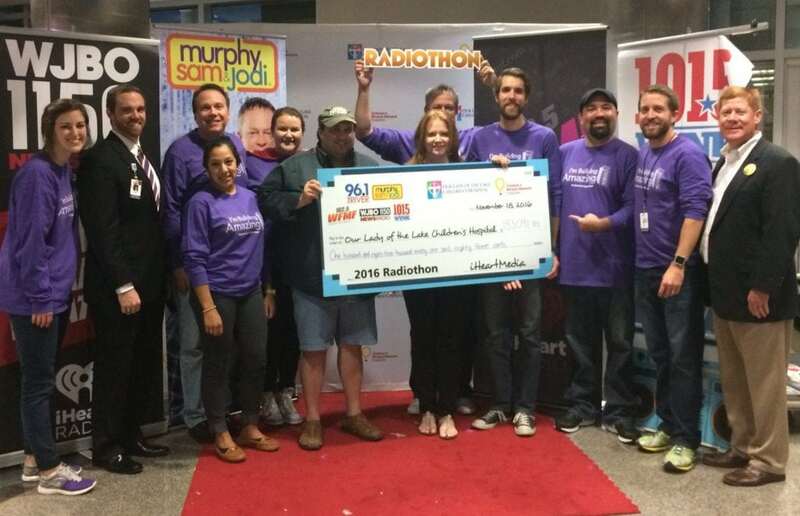 Since 2010, iHeartMedia Baton Rouge has raised $1.19 million for Our Lady of the Lake Children’s Hospital. All proceeds from this year’s radiothon will help build the new freestanding Our Lady of the Lake Children’s Hospital, scheduled to open in Summer of 2019. For more information about the future children’s hospital, visit www.letsbuildamazing.com. Previous post: Love's teams up with 20 Dance Marathons for 2017!